Welcome to Top 100 Shirts. 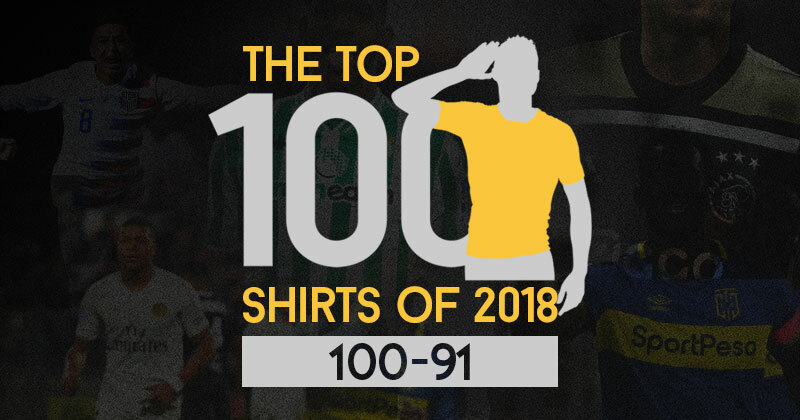 With the help of the other writers at FOOTY.COM, I’m attempting to pull together a list of the best shirts released this year. This would be a tough task on any given season, but the fact we’ve enjoyed a World Cup right in the middle of 2018 has only raised the stakes. It’s been a year like no other, with many brands bringing their A-game and many shirts arguably writing themselves into football shirt folklore. So sit back, enjoy the read and head over to Twitter once you’ve finished to argue with me. Nike have used symbols from Portugal’s maritime history as inspiration for the design of this away shirt. How Nike have done this is by using lots of subtle, green crosses on the front of the shirt (the crosses themselves being the symbol used on Portuguese sails during the ‘Age of DIscovery’). Together with the crisp, white background and vibrant, red of the Nike swoosh, Portugal have one of the freshest shirts of the year. Nike have flexed their creative muscles this year, and Portugal’s away shirt is a perfect example. The intricate pattern formed of tiny crosses fading across the front is subtle and best viewed up close. It’s my kind of pattern and pure class from a country that’s had its fair share of amazing away kits over the years. The subtle details of this shirt are what really make it special, with the gold trimmings on the thick red stripes and the red and blue stripes on the sleeves (a nod to the Serbian flag) being my personal highlights. The block of white in the middle housing the Gazprom logo, and the block of red on the back prevent the shirt from feeling cluttered or chaotic and really rounds this strip out as a classy and solid piece. 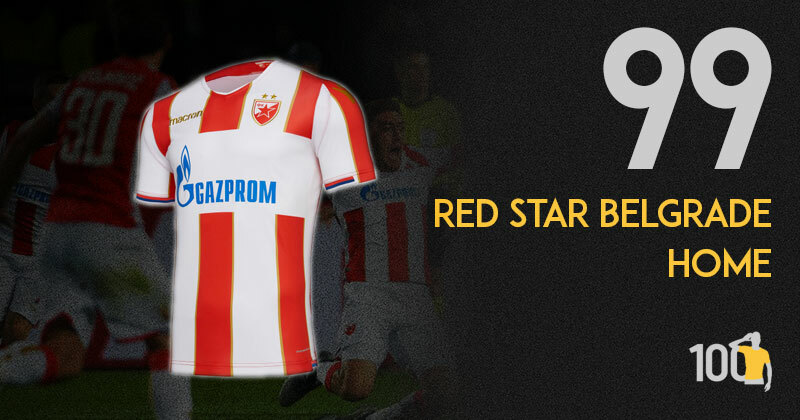 For their return to Europe’s top competition, Red Star are lining up in this beautiful shirt by Macron. Sharp, red and white stripes are complimented with gold details and even though the stripes are cut for the sponsor’s logo, it still looks sleek to me. The addition of the Serbian flag on the edge of the sleeves is a lovely touch. All in all, a very smart-looking shirt. Who knew South Africa was such a hotbed for great football shirts? 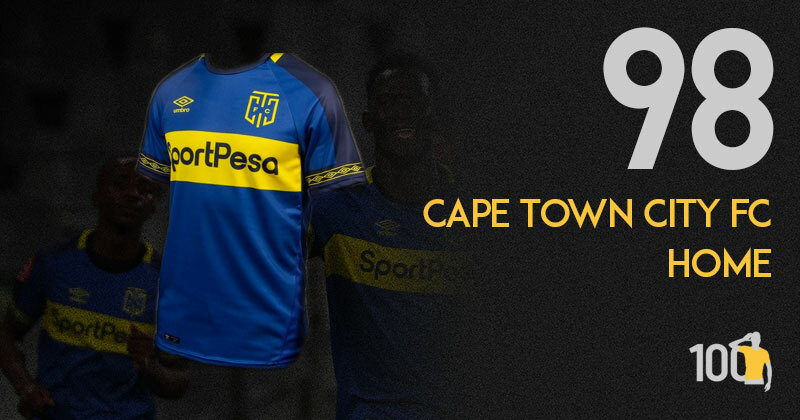 The 1st of 3 shirts from the country on this list, Cape Town City have captured the essence of what makes Boca Junior kits so special, with their own Umbro-flavoured twist. I love that they’ve made no bones about the fact they are inspired by their famous idols from Argentina, and in a bizarre twist of fate i’d argue that this kit is better than the actual Boca home kit this season. I can’t think of a higher compliment I can give. The overall colour scheme of this shirt is frighteningly reminiscent of an Everton away kit circa 2013, however less use of the offensive yellow has rendered this strip much, much nicer. Incidentally, SportPesa adorn both club’s kits this year. The standard Umbro template for this season holds true, with the famous diamonds circling either sleeve-tip in a subtle and graceful manner, whilst the chosen tones match the crest well - a perfect choice regarding the exact shade of blue enables this effort to take its place as one of the years very best. 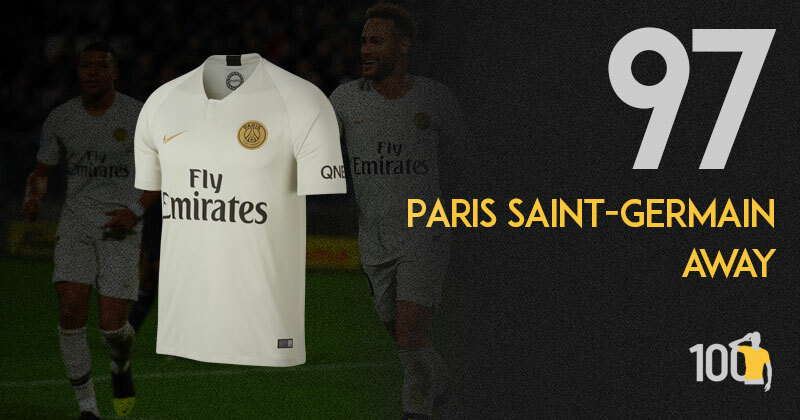 PSG’s Jordan kits may have stolen the headlines but this away shirt perhaps quite fittingly has managed to sneak into this list despite the lack of hype. If you’re going to do a simple kit, you need to get the colours, crest and sponsors spot on. This hits all three of those marks, and I’m especially a big fan of the tone of gold used. This kit should be higher in the list. A lot higher. Nearly everything is perfect: the shade of green, the width of the stripes, the collar. Only loses points due to the white panel on the back, but glad there are stripes back there. Wonderful and loyal to the club’s kit tradition. 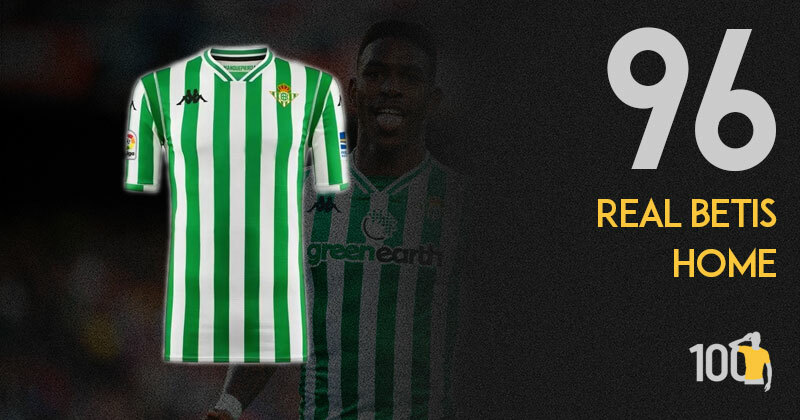 The thin green and white stripes are a core element of Real Betis’ home shirts, and Kappa kept them to good effect with this year’s effort. I love the usage of the green/white stripes on the collar and sleeves, and I think it really suits the shirt. Not a huge fan of the extra Kappa logo on each shoulder, but at least it doesn’t run down further. A very slick and posh looking shirt. The usage of beige as the secondary colour really works well in contrast with the black, and thin strip of white just below the neckline. I especially like the way the badge and stars are coloured in the same beige, keeping the shirt consistent. The Adidas stripes look lovely down the side too. Despite being a well used adidas template this works. Subtle colours and the three stripes down the side of the torso work well. Not an all time classic like the 95 European Cup winning away, but a pleasant and classy effort. Errea are a brand you only really see at grassroots level nowadays but they did a fine job ensuring the small island nation fit right in at their first ever World Cup. 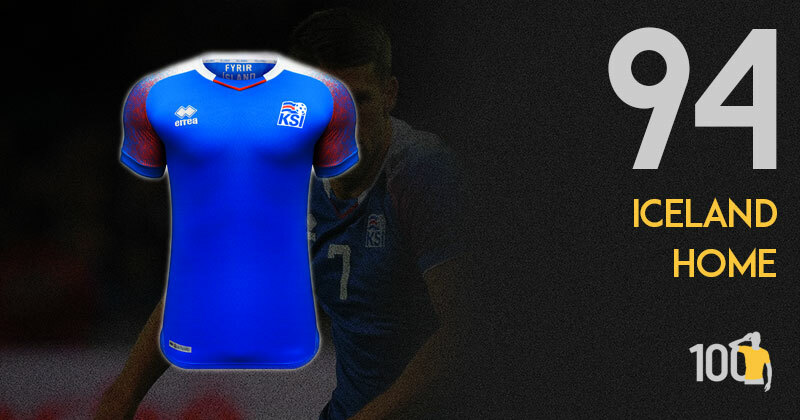 The block of royal blue on the main body of the shirt is juxtaposed with a more contemporary design on the sleeves, featuring the other colours (white and red) of the Icelandic flag and in my opinion making a really beautiful shirt. Still not sure about the crest though, I’m sure I’ve seen those initials somewhere before. Always going to be difficult to follow what will now be an all-time great from Euro 2016, but this is a nice shirt. Predominantly blue with white and red fading trim on the sleeves, the badge and the country’s flag (on the back towards the collar) give it a great finish. I’m a big fan of this away shirt. The light grey with the subliminal blue pattern looks tantalising, and the salmon colour trimming works well, especially considering the change of badge colour to match it. It works well on the collar too, but I’m not a huge fan of the way the collar cuts across itself and would rather it met nicely at the bottom. 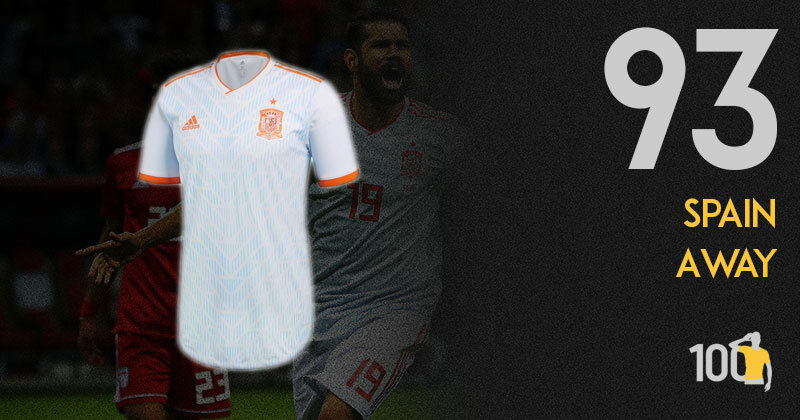 I absolutely loved this year’s World Cup, and this particular shirt will always bring back vivid memories of the tournament thanks to its usage in the enthralling 3-3 encounter between Spain and their neighbours Portugal. As a kit, this one drew a lot of criticism for the way it clashed with the white of the shorts when paired together, but in isolation this is a lovely shirt and a wonderful example of adidas tapping into their design roots. Not the traditional green this year but a really lovely shirt. A darker hue of the famous colour is topped off by an even deeper shade on collar and cuffs. The cut and style ooze retro-chic and produces a masterpiece. The reworked Le Coq Sportif logo adds just a dash of colour, hinting at the tricolour collar and cuffs of previous classics. Sometimes, less is more and this would appear to be a perfect description for St. Etienne’s home shirt for this season. Le Coq Sportif have produced a beautifully elegant kit, which is reminiscent of England’s 2009 home shirt. The shirt is predominantly green with a darker green used for the collar and side panels. One gripe I usually have about French shirts is that they are normally plastered with sponsors, but I have no issues with this kit. The sponsors compliment the shirt without dominating it. 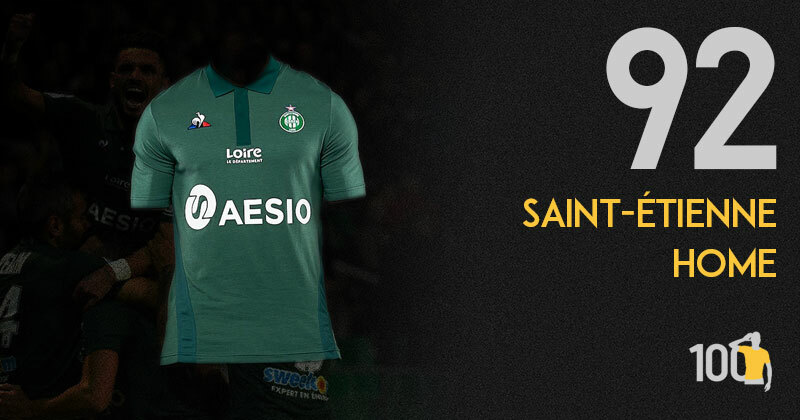 A fabulous effort from Le Coq Sportif and St. Etienne. 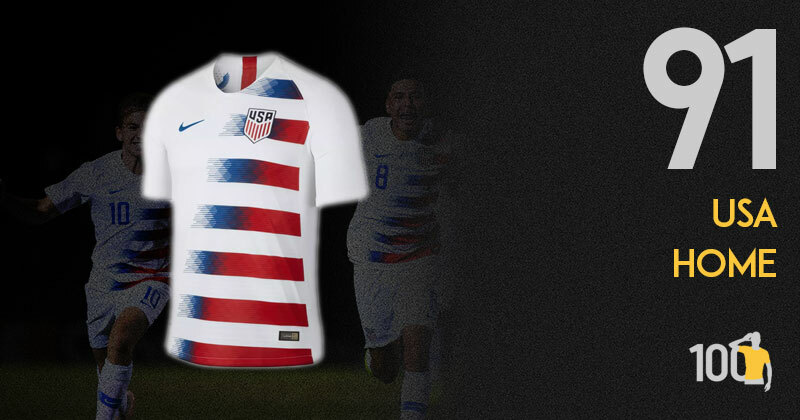 What I love about this shirt is that (to me, at least) it evokes memories of those fantastic kits USA used in the 1994 World Cup. Now I’m not saying that these Nike kits are in the same league but what they both do is use the American flag to great effect. The disappearing red and blue gradient stripes across the front are vibrant and give the shirt a modern look. Yet among these stripes is a nod to some of USA’s past kits with the blue, diagonal sections creating a sash. The US national sides always have beautiful shirts and this years offerings were no exceptions, it’s just a shame that the men’s team weren’t able to make it to the biggest stage of all so that the entire world could witness them in all their glory. America’s star spangled banner inspires this home strip, with the main colour being white and the avant-garde hoop-like fading stripes being blue and red. The position of the fading also creates a sash design, with a blue diagonal stripe being evident on the front. So, that’s numbers 100-91 on our list.